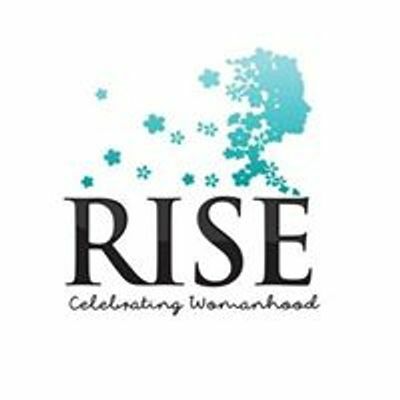 E- Empower women to support each other & rise! 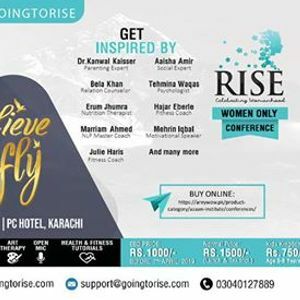 RISE is an upcoming unique Women’s Event designed to celebrate womanhood and create a platform for women, coming from all walks of life, to connect them to professionals through a day of insightful conversations, transforming panels and interactive sessions. Over the times women have juggled in their personal and professional roles. Studying, taking care of her family, living up to unachievable social standards, constantly proving herself in the workplace and still trying to keep a balance! Even though women are amazing at multitasking, filling in so many shoes can leave anyone stressed, unsure and quite overwhelmed. When you dedicate the best of your time and energy to others, it is essential that you replenish your reserves, so you can be happy in your own skin while doing what you do best. It all starts with the all-embracing idea of wellbeing - mental, physical and spiritual. The inaugural theme of this event, “I believe I can Fly” will focus on how you can change, transform, and ultimately grow to be your best self. 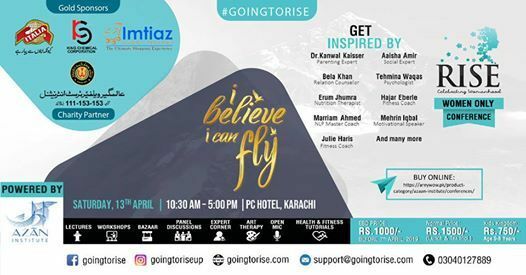 Be inspired and challenged to unlock your dreams irrespective of your situation, irrespective of the dictates of the society.Take this opportunity to let go, change yourself and revitalize your mind, body & soul. While Seeing is Believing, Believing is Actualization. If you believe you will succeed, if you believe you will fly!.